BookBairn and I have been enjoying books along similar themes again recently so I thought I would share in another 'Mummy and BookBairn Book Group' post. 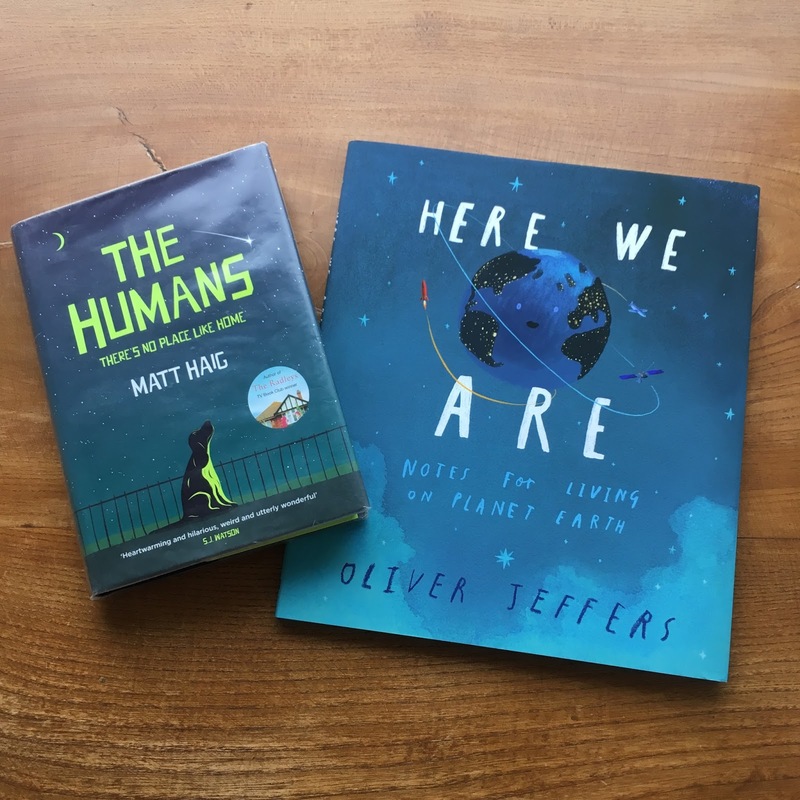 Both books we have been reading share a perspective of what it is like to live on our planet. "Our world can be a bewildering place, especially if you've only just got here" (from the blurb in 'Here We Are')is a good summary of both the books we have been reading. First, I've been reading "The Humans" by Matt Haig, which is not a book that I would have thought I would have picked up had it not been recommended to me by readers I trust on Instagram. (Bear with me in the description - the concept didn't sound like my cup of tea either but just wait...) The Humans is the story of an alien who is a doppleganger for a British mathematician that has discovered something that the aliens wish he hadn't so they eliminated him and sent an agent to discover who else knew about his discover and in turn eliminate all evidence. But as the alien integrates into our human society and life he learns lots about humanity. I loved this! The insights about humanity from an outsiders perspective (via Matt Haig's brain) are absolutely fascinating. And so on point. Some of the things we do are nonsensical but they are part of social customs that we just do. Because most things we do are in pursuit of joy, of love, of happiness. But sometimes we don't really make much sense, right? 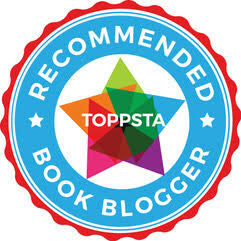 If you can suspend your disbelief and get past the alien concept of this book you will just love it! 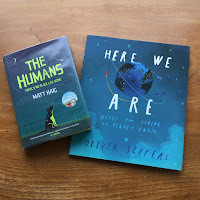 BookBairn has been loving 'Here We Are' by Oliver Jeffers which has the subheading "Notes for Living on Planet Earth". Jeffers wrote this wonderful book for his newborn son in the hopes of passing on some words of wisdom about life on our planet. "Your head will be filled with questions, so let's explore what makes our planet and how we live on it. From land and sky, to people and time, these notes can be your guide and start you on your journey." This is one of the most beautifully illustrated Olive Jeffers books (which is an incredible feat as his artwork is sensational). He explores the land, sea and sky through beautiful artwork annotated with hilarious handwritten notes. Then pages filled with humans of every shape, size and colour and animals from all over the globe. These are BookBairn's favourite pages. She loves describing what she can see - pointing at everything! He explores the contrasts of life on Earth: day and night, moving slowly and moving quickly. And finally he shares the concept he most wants to pass on: "be kind". "There are only three words you need to live by, son: respect, consideration and tolerance." And this for me is pretty wonderful. He's so right. And the fact that this is the advice his father passed on to him and he included it in a book that he wrote for his own son is just so perfectly poetic. I love it. This is a book that everyone should own. It's beautiful, and it's genius and it's going to be my go-to new baby gift. These two books will make you question, wonder and gasp at their perfectly accurate depiction of life on Earth. *Disclaimer: The Humans was a library book that I sadly returned recently - I might buy a copy when the urge to re-read inevitably arrives. We own Here We Are. And no one will prise it out of our hands. Buy a copy. You won't regret it. I think I might prefer BookBairn’s book and I’m definitely in support of the author’s Dad’s comment. Isn't it so great?! I thought it was a lovely thing for him to include! Maybe we should do a family book challenge? Ooooo I wonder what you have in mind! Let's plot next time you are over to play!